-- How to overcome allergies, obesity, high blood pressure, AIDS, lupus, and other chronic illnesses. -- The best ways to extract vital juices from fruits and vegetables. 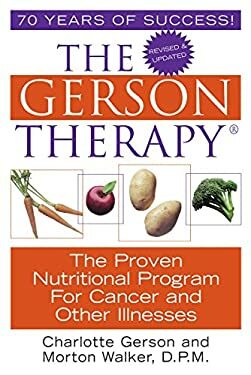 -- The 52 illnesses that have been successfully treated with the Gerson Therapy. -- Which supplements to take to strengthen your immune system. -- How to beat disease by changing your blood chemistry. -- Which foods and spices to avoid to stay healthy.